As a Personal Chef, it's all about chemistry. And the first place that happens is on your website. In this 11 module course, we layout a step-by-step approach to designing, building, and launching a website that your clients will love. No gimmicks. No tech speak. Just follow along as Greg builds a site from scratch using Squarespace. It's ok. We're here to help! One Page or Traditional Layout? Which format will have more impact on a potential client? Learn how your content influences your layout choice. Avoid staring at a blank canvas and learn how to use Squarespace's proven templates to make your site shine. Learn how to avoid coordinating domain setup with 3rd parties by search for a domain name and setting it all up within Squarespace. If you are a new personal chef looking to design your first site, or if you are an established chef looking to take your site to the next level, then this course is for you. Our content lessons help you identify all of the content you need for your site including photographs. Don't struggle trying to choose between a one-page or traditional design. We show you how to build both! Follow along and choose which design works best for you. You get to follow along as we design a site from scratch; nothing skipped. Over 30 lessons by someone who understands the unique needs of personal chefs. Each lesson comes with it's own checklist to help you complete the tasks to launch your site. Share your experiences with other students as you go through each lesson. Post questions on assignments in our designated discussion areas or on your class' private Facebook group. Get access to the course resources section to learn all of the tools and services that we and other successful personal chefs use. 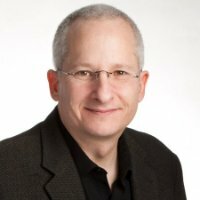 Greg has over 30 years experience helping companies grow their business through technology in marketing. In 2008, Greg left the corporate world (his last position was Vice President of Web Marketing with Gateway Computers) to help small business owners realize their dreams. Greg is also a successful professional photographer and documentary film maker. Greg has taken proven strategies in marketing, technology, and client service and applied them to the Personal Chef industry. The course starts now and never ends! It is a completely self-paced online course - you decide when you start and when you finish. There are 11 sections to the course and each section has several lessons. After you signup, we release the content over an 8 week period. Each week we will release 1 - 2 sections. Although we release new content each week, there is plenty of material to cover and we do not expect you to complete each section in a week.